BERLIN (AP) — Chancellor Angela Merkel is meeting her Bavarian conservative allies in a show of unity following a long-running argument over migrant policy, setting the scene for a joint campaign for German elections in September. Bavaria’s Christian Social Union has dominated its southeastern state for decades and is traditionally an important source of national election votes for the conservative bloc led by Merkel’s Christian Democratic Union. 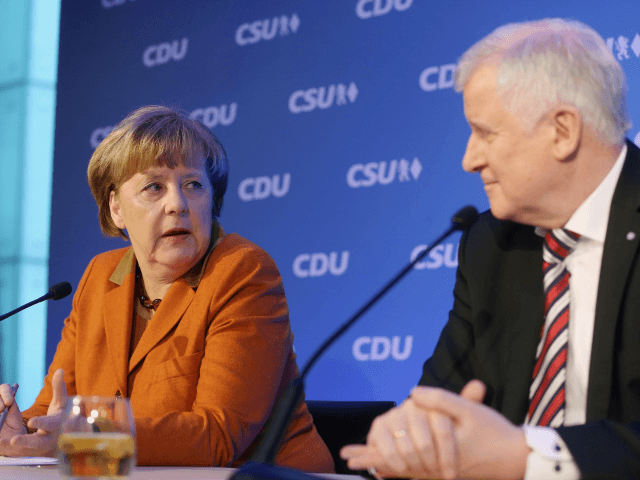 It’s a sometimes-awkward alliance and has often been frayed since late 2015, with CSU leader and Bavarian governor Horst Seehofer becoming the most prominent domestic critic of Merkel’s welcoming approach to migrants. Monday’s meeting marks an effort to move past the dispute and focus on the election, although the two parties still disagree on a CSU demand for an annual cap on migrant numbers.